There are three versions of the new “SmileyWorld x Octopus” Customised Shape Ornament. In addition to adult and child versions, this is the first licensed character Octopus ornament with an elder version for senior citizens. Each style is unique, so customers of different ages can carry the “smiling faces” to spread happiness. 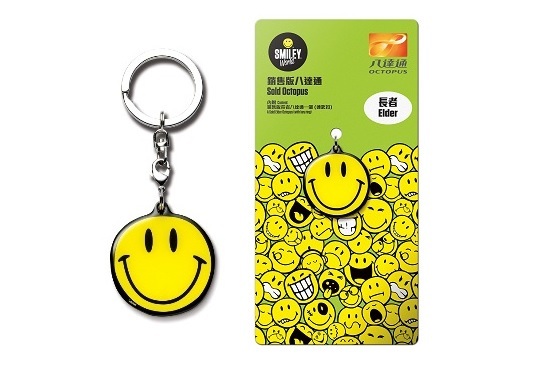 The “SmileyWorld x Octopus” Customised Shape Ornament can save the last 40 transaction records, which can be checked by using the "Octopus" App or Octopus PC Reader. - This Octopus functions as a normal Elder Octopus and is non-returnable. Please add value before using.